For all you long time readers you know how much I love to shop local and shopping for our Christmas tree is no different. 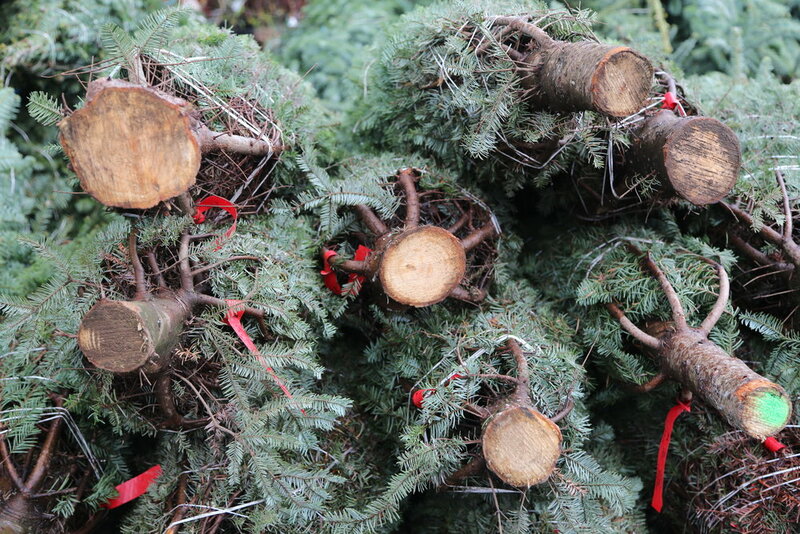 Ever since we moved to West Seattle we have been hitting up our local nursery for our Christmas trees. 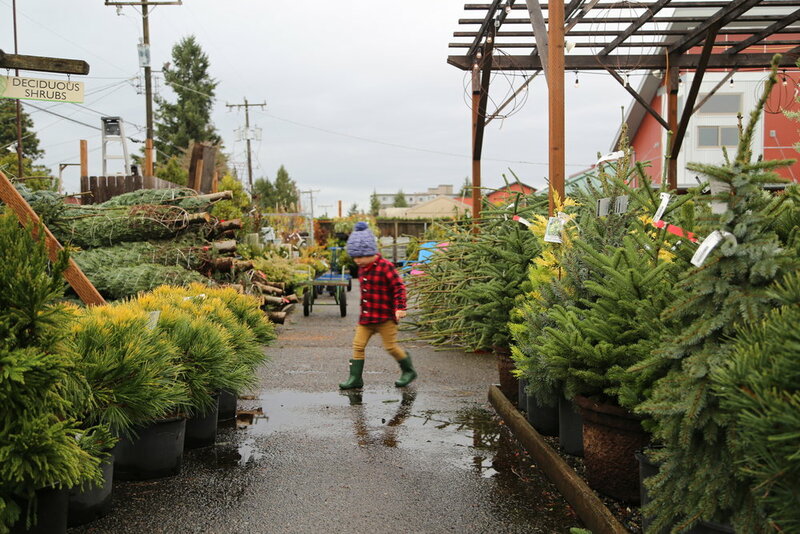 For several years we lived within walking distance to the West Seattle Nursery which solidified my devotion to them. 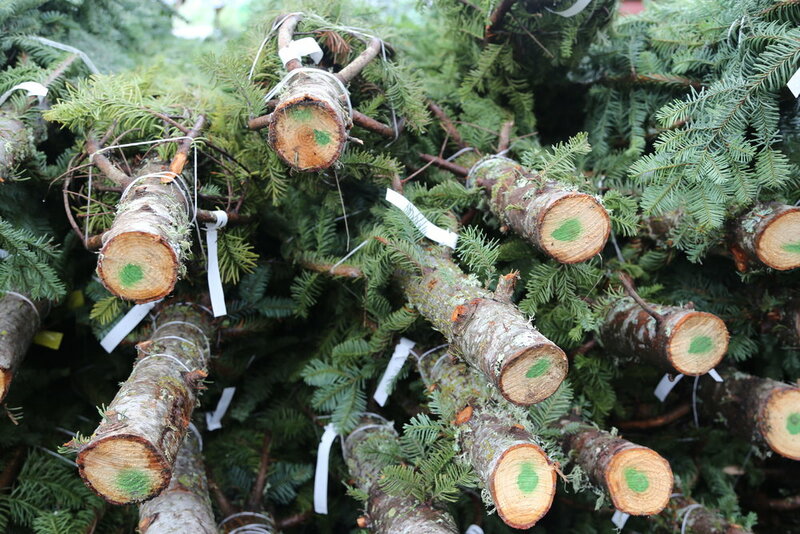 Now that we live a little farther away from the nursery we happily select a smaller tree we can pop in our trunk and decorate within an hour or so. 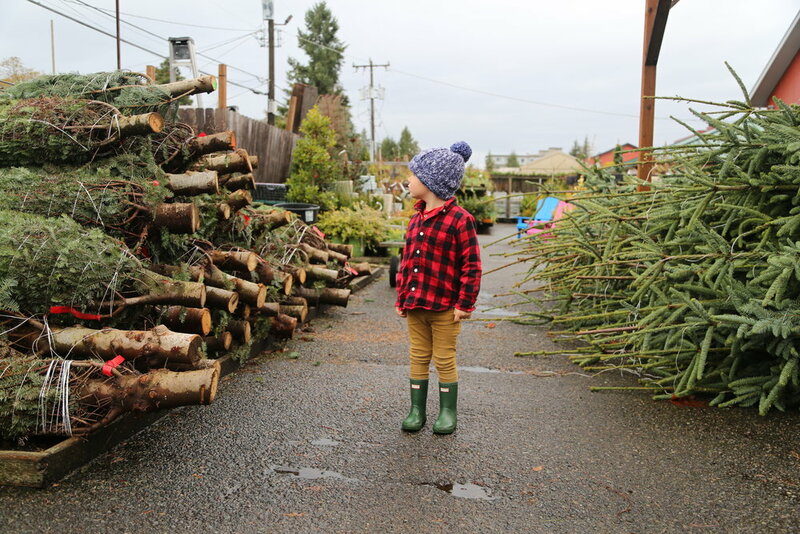 Highlights of our Christmas tree shopping excursion for Jasper included jumping in all the puddles, selecting our tree, pulling around our tree in the cart and the most fascinating of all when they pulled out the chainsaw to put a fresh cut in our little Christmas tree. I am so grateful Jasper is so easy to please and that he takes joy in all the small moments in life. Once the tree was all decorated and he woke up from his nap he took one look at our tree and said, "Wow!" with the utmost amazement. I love this kid and he certainly makes the holidays a lot more festive and fun. 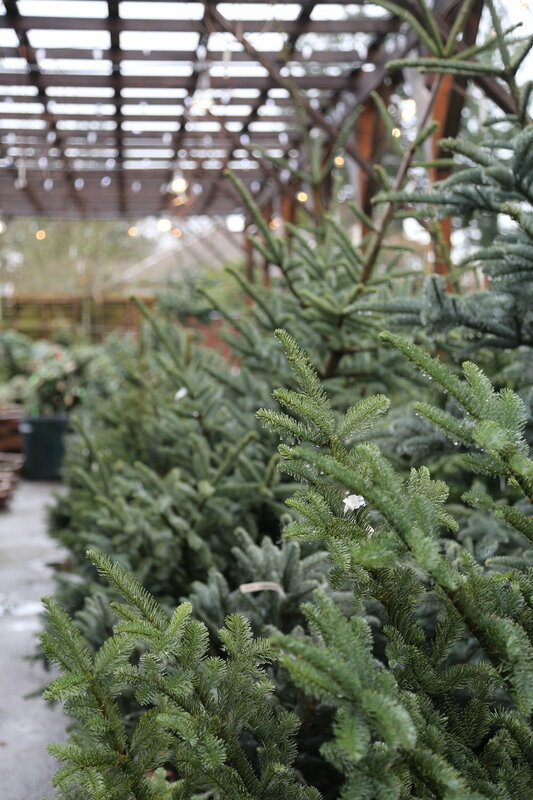 A little unknown fact is if you are not in a hurry to take your purchase home same day the West Seattle Nursery can deliver it to your home on their delivery day.